Are you changing your act to please the crowd? You are here: Home / How To Change The World / Clear Out Your Blocks / Secretly Changing Your Act To Please The Crowd? And his advice on comfort zones is gold dust. My favourite quote from this? Don’t change your act. Change your audience. I always remind myself of that one, if I feel secretly tempted to try to be something I’m not. And if you’re feeling stuck, there’s help for you in my instant access online masterclass. Join me for this training to discover exactly where you’re stuck and what you can do about it. In it, I take you through the hugely insightful questions I ask my one-to-one mentoring clients and my Mastermind Intensive students, using the ‘7Cs’. And if your business isn’t growing at the rate you wish, then I promise you, you’re stuck on one of these. And awareness of which helps you focus on which changes will create the breakthroughs you have been dreaming of. 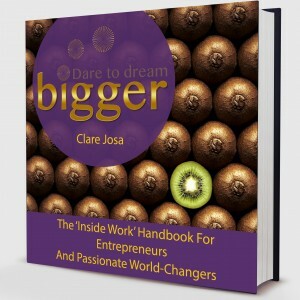 I ran this as a live online session last week for my Dare To Dream Bigger Academy members and I’m blown away (and humbled) by the feedback I have had. Normally it would now be a paid-only programme, selling at £97.